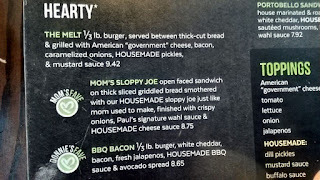 With no Wahlburgers in the Pacific NW (closest one would be Las Vegas, with more to come in Southern California), this was a good way to end the New England trip. 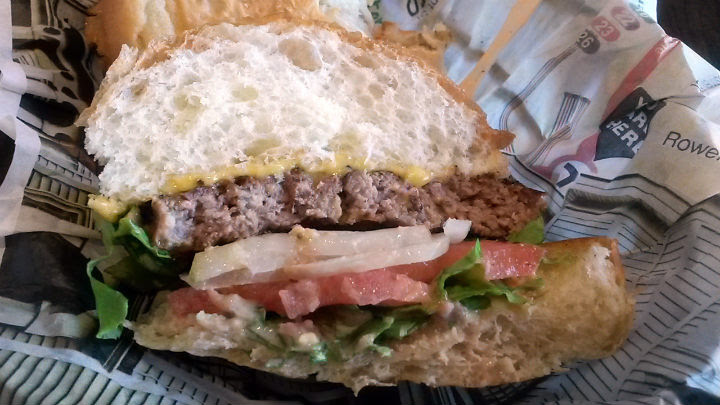 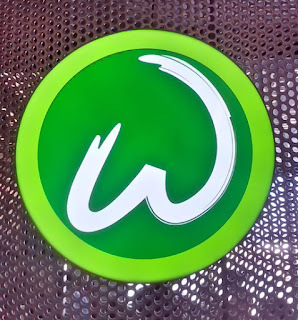 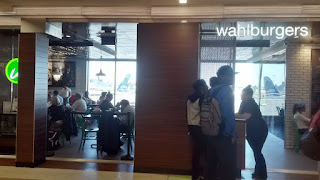 Wahlburgers is a family restaurant with family recipes and quality ingredients. 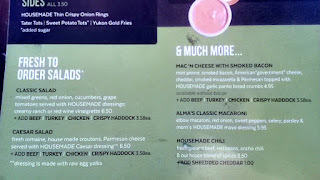 The menu reflects that with sandwiches, burgers, salads, and even mac and cheese. 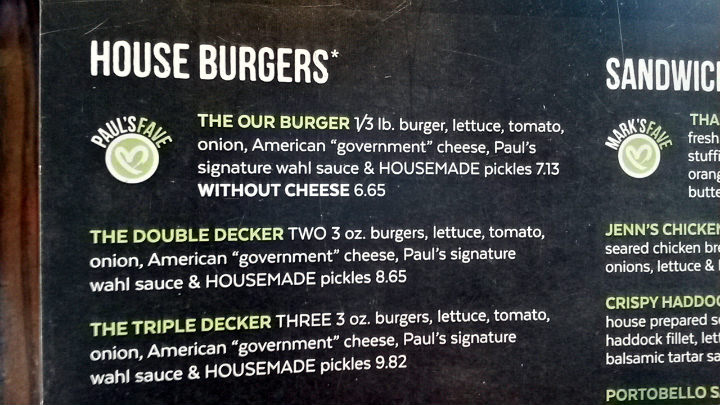 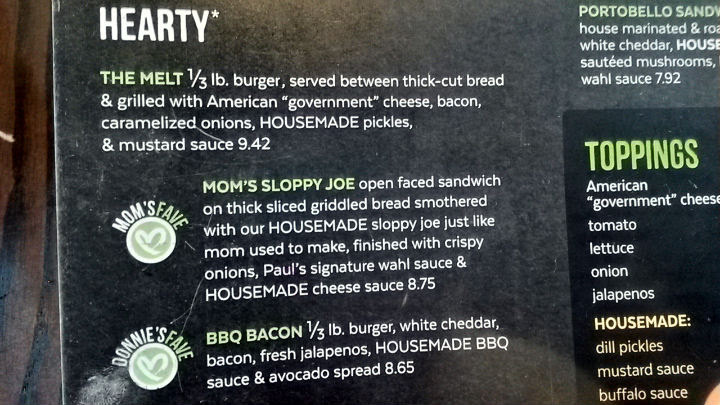 My mom was tempted to get Mom's Sloppy Joe, but got Paul's favorite, the Our Burger, a 1/3 lb patty, with lettuce, tomato, onion, American cheese, Wahl special sauce, and housemade pickles. 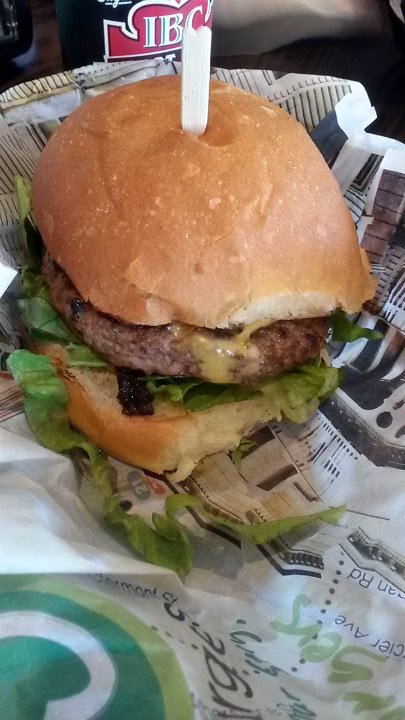 As expected, a delicious juicy burger. 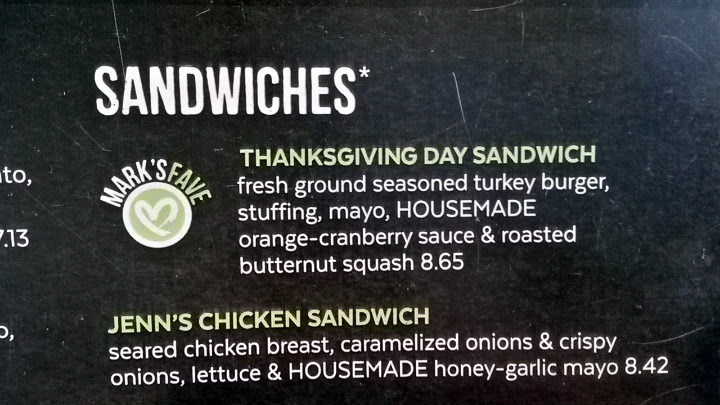 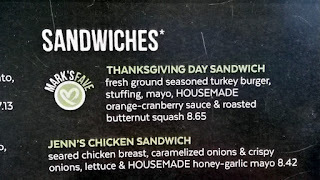 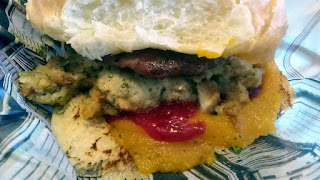 Almost fittingly for the date of this post, I ordered Mark's favorite, the Thanksgiving Day Sandwich: a fresh-ground, seasoned turkey burger with stuffing, housemade orange-cranberry sauce, and roasted butternut squash. I 86'd the mayo here. 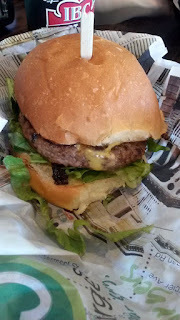 Certainly worthy and good, but I preferred the burger at the end of the day. 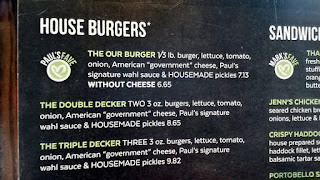 I'm sure you can customize your burger here and get as many toppings as you want if you're willing to pay for them all. 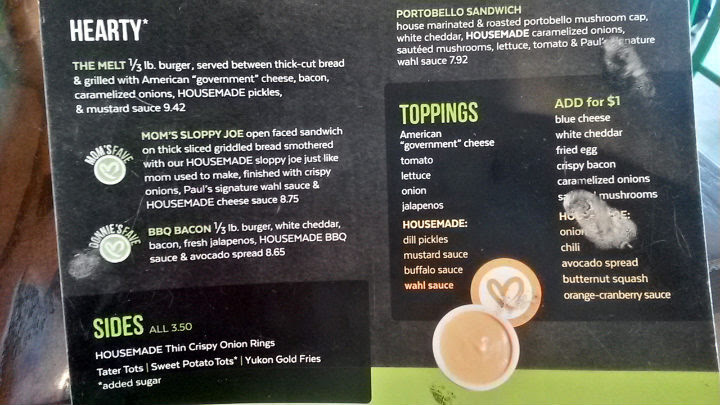 Various toppings and additions (several of them housemade) to choose from. 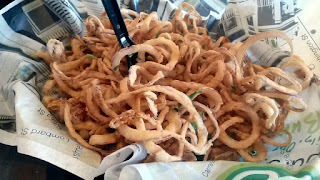 The onion rings here are thin, crispy onion strings, unlike the larger battered onion rings you might see elsewhere. The Wahlburgers version likely gets more of a light flour coat, then dropped right in the fryer. More onion, less grease. 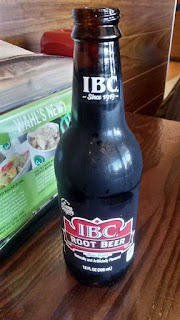 I really loved these. 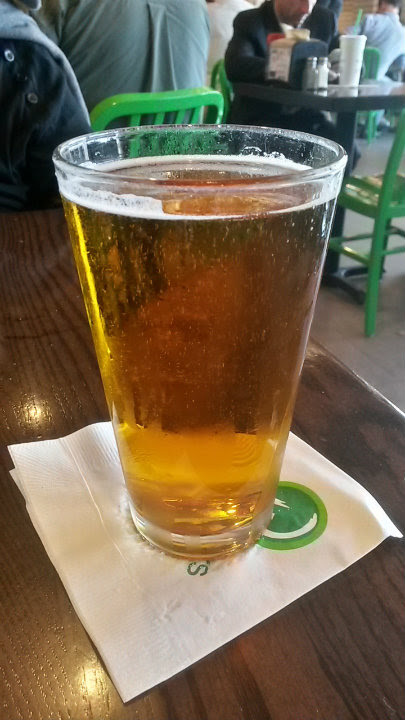 There was a full bar at this Wahlburgers, but I went with the Goose Island IPA. 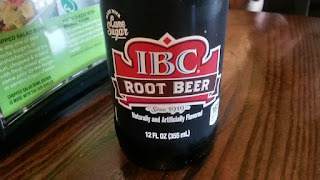 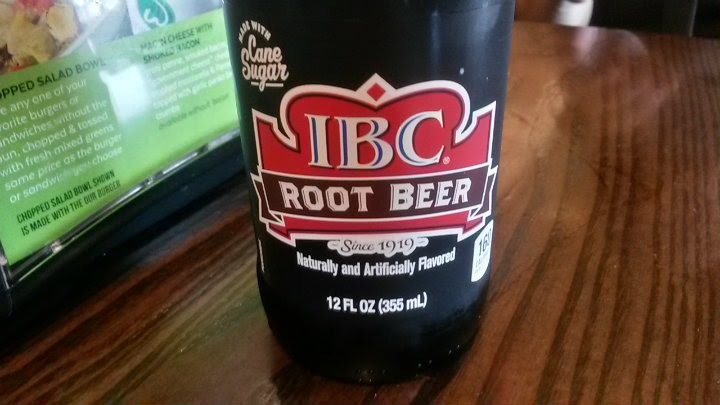 Mom got the IBC Root Beer, also a solid choice. 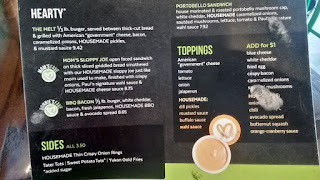 The wait was a bit long, but the place was predictably busy, with just 2-3 servers that I saw to manage the tables.